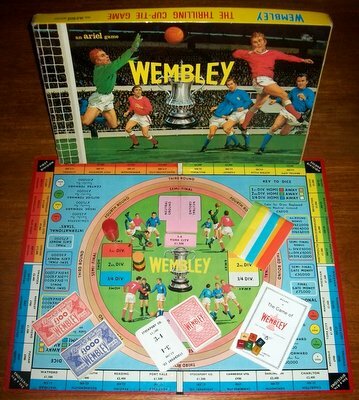 WEMBLEY' BOARD GAME: Wembley is based on the English Football Association Challenge Cup Competition - the most gripping features and exciting uncertainties of which it reproduces with vivid and truly amazing fidelity. Packed full of thrills from start to finish, Wembley can be enjoyed by young and old; after a few games the merest novice in football affairs can become as wily a contestant as the keenest of soccer fans. Although the chance of the draw and the throw of the dice have a necessary part to play in determining the winner of a game, it will soon become evident that considerable skill and judgement are called for in assisting chance to make you, rather than your opponent, the winner. This game is complete and in stunning condition throughout. We actually think that this game has never been played. The box shows no signs of wear the game contents are all immaculate. The game board is in excellent condition: the edges are unworn and the colours are vibrant and clear. 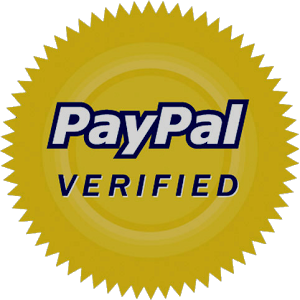 The gummed paper strips are not included but this example more than justifies its price tag. For 3 - 12 players.